6WIND’s Turbo IPsec vRouter brings high performance software-based security for SD-WAN solutions. Customers such as AT&T deploy 6WIND’s IPsec vRouter technology to create scalable VPN Gateways that secure VPN services for its customers within SD-WAN networks. Popular use cases where 6WIND Turbo IPsec has been successful in creating scalable VPN Gateways for SD-WAN include the following examples. Here is a hybrid WAN and SD-WAN deployment with both Internet and MPLS networks. The SD-WAN solutions are deployed at the edge. 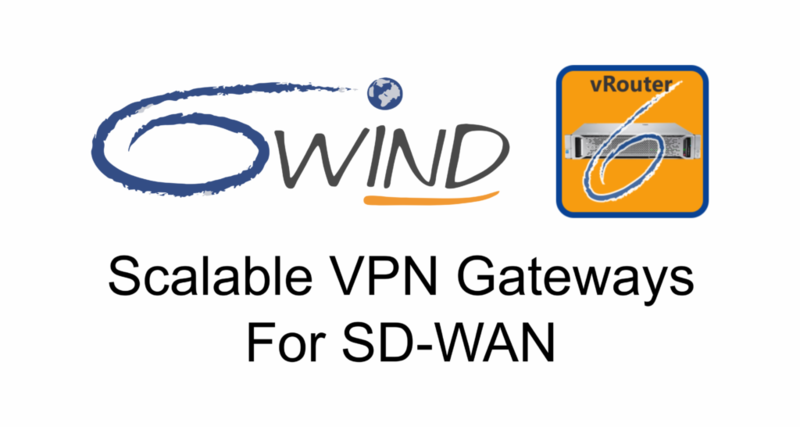 6WIND’s Turbo IPsec vRouter provides the VPN gateway functionality in the data center and is orchestrated by the SD-WAN solutions. It also routes traffic to Cloud services. The MPLS and Internet networks are used together for cost-effective networking. 6WIND’s software-based VPN Gateways are added in the regional data centers to create a secure overlay network over the Internet between the remote sites and the regional data centers. Secure site-to-site VPN tunnels are also created with 6WIND’s high capacity Turbo IPsec software. In certain cases, an overlay can also be created with 6WIND Turbo IPsec over the MPLS network. In this case, GRE or IPsec tunnels can be used to create the overlay over the MPLS networks. Here is a POP deployment where customers create large and international private networks over the Internet. 6WIND’s Turbo IPsec vRouter creates a global IPsec overlay network to connect the regional POPs, and the sites to the regional POPs. This ensures any to any connectivity between the sites. VPN Gateways are deployed in POPs located in different regions to connect the regional remote sites to interconnect the different POPs and to provide access to the Cloud. 6WIND Turbo IPsec also ensures additional capacity for direct site-to-site tunnels. 6WIND software performance scales linearly with the number of cores. On an Intel Xeon E5 processor, we deliver 12 Gigabits per second (Gbps) of throughput per core, up to 100,000 IPsec tunnels and 1,000 tunnels per second, all in software. 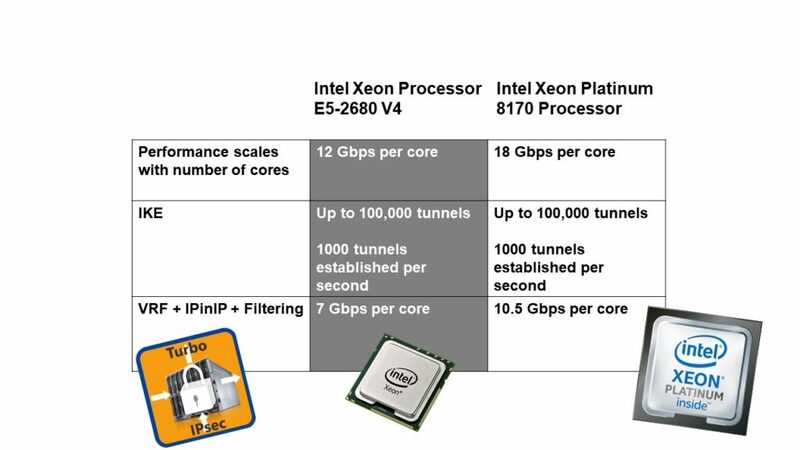 Combining VRF, IPinIP and Filtering to create IPsec VPN tunnels, with this same processor we deliver 7 Gbps per core. With Intel’s Xeon Scalable processor family, we increased performance by 50% on the Intel Xeon Platinum processors. Here we can deliver 18 Gbps per core and 10.5 Gbps per secure VPN tunnels. It is the same 6WIND software that gives you a 50% performance increase on the latest generation processors.